without the vest and tie and of course much prettier. This week's episode of Righteous Indignation was a special solo effort by Hayley Stevens (possible future M.B.E.) in the same vain as the Beatles song Yesterday was basically a solo effort by then James Paul McCartney, M.B.E. (now Sir Paul.) 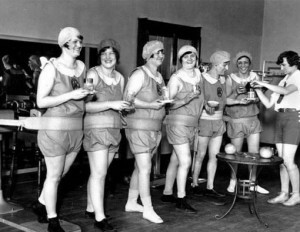 The episode was the airing of a Bath's Skeptics in the Pub event featuring speaker, guest, and lecturer Rose Shapiro. Ms. Shapiro is the author of Suckers: How Alternative Medicine Makes Fools of Us All . 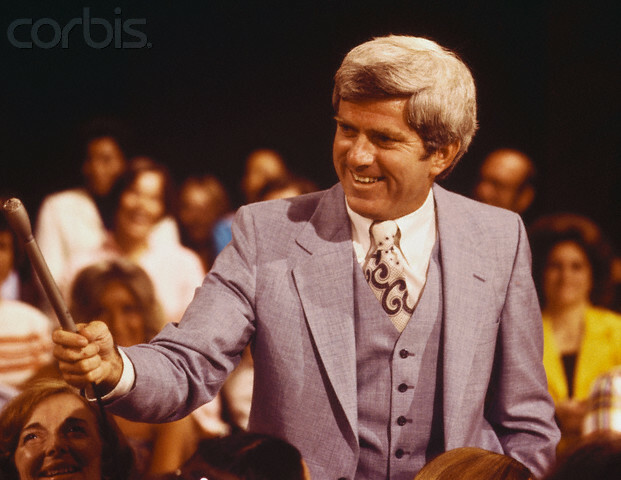 The discussion was hosted by Hayley--Phil Donahue style. After Ms. Shapiro opened with a few comments and answered a few questions by Hayley, the discussion was opened to the audience with what sounded as if Hayley was darting around the crowd with a microphone taking questions for Shapiro to answer or comment upon. Hayley handled herself smartly, and it was quite an interesting listen and Shapiro had a nice command of the audience and topic without coming off as smug. The most interesting part was when a farmer strenuously defended his successful use of homeopathy on his herd, and how Hayley handled the rather passionate questioner. If it were me, I always fear I would fall back to "oh, yeah?!" I can think of a lot of good comments during the comfort of walking Ike, but in the trenches . . . not so much. I personally found interesting the discussion of chiropractors vs. osteopaths. My father is a retired osteopath and he has nothing but near contempt for chiropractors. The thing is that, at least in America, Osteopaths are basically interchangeable with medical doctors. I suspect there is a higher percentage of D.O.s with questionable practices, but when you bring up some of the more extravagant osteopathic claims/classic theories with an osteopath most modern D.O.s just stare at the floor and try and change the topic. Why D.O.s just don't give it up like the AFL did in the mid-1960's and join the NFL is beyond me. While on the alternative and complimentary medical topic, I ran into a fair amount of it at the local Home Show in Harrisburg, PA. Lady and I traveled there to get some ideas for a much needed but depressingly expensive kitchen remodel, and general items to spruce up the ancient house. While we saw a large number of hot tub retailers, pre-fab garages, as well as an entire log home in the arena, we ran into C.A.M galore. It seemed to be a lot more than in past years. The first thing I spied was a power balance band rip off "U Band." It makes the same tired, trite claims as iBand, power balance, and hot band etc. The next bit of C.A.M. 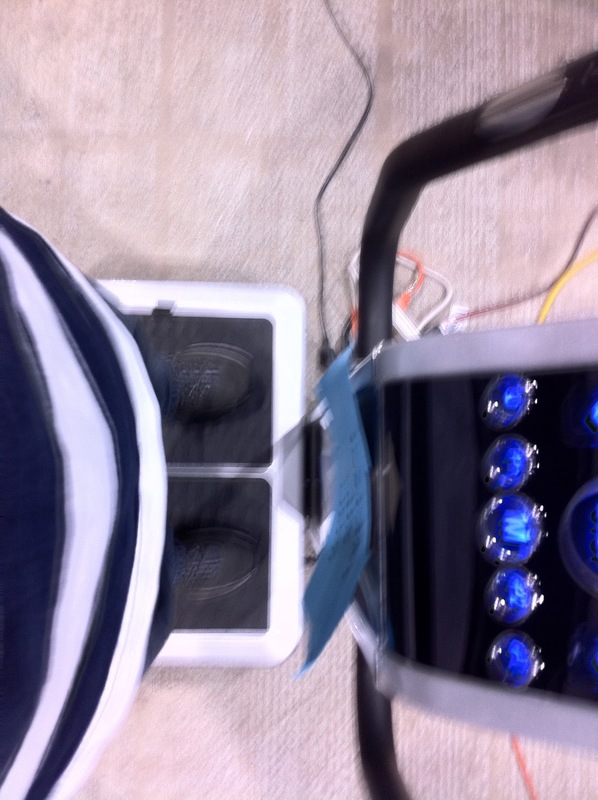 tom- foolery we ran into (and was a bit pricier) was "Vibra Plate," which promises to vibrate the user into health. It also billed itself as treating a long list of ails most of which are nonspecific and a few quite queer. What exactly does "Increase Lymphatic System" mean? 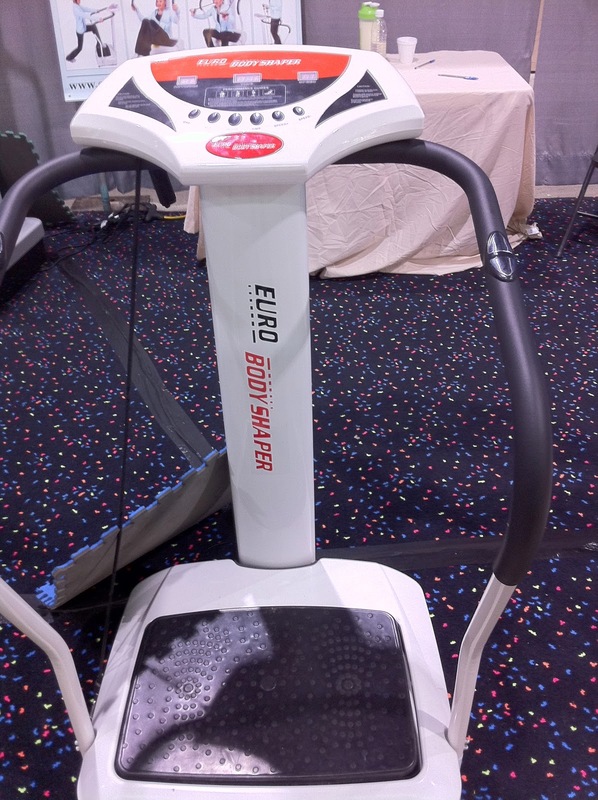 Luckily in America we have choice, and if the "Vibra Plate" is not your cup of tea you can alway try the "Euro Body Shaper," which is the same idea as the Vibra Plate, but this time it comes in cool Apple-style white and it has the word Euro in it. You know those European types, they build good stuff. Both the Vibra Plate in striking silver/black and the Euro Body Shaper in minimalist white with orange trim both remind me of these devices from the 1920's to 60's or so. Fit and fiddle in the jazz age. Sure, it is a belt jiggling the crap out of you instead of a plate rattling you, but just look at their healthy lymphatic system. It is a sight to behold. The gentleman at the Euro Vibra Plate did not appreciate my photography of his device, and Lady hustled me away quickly before there was any trouble. 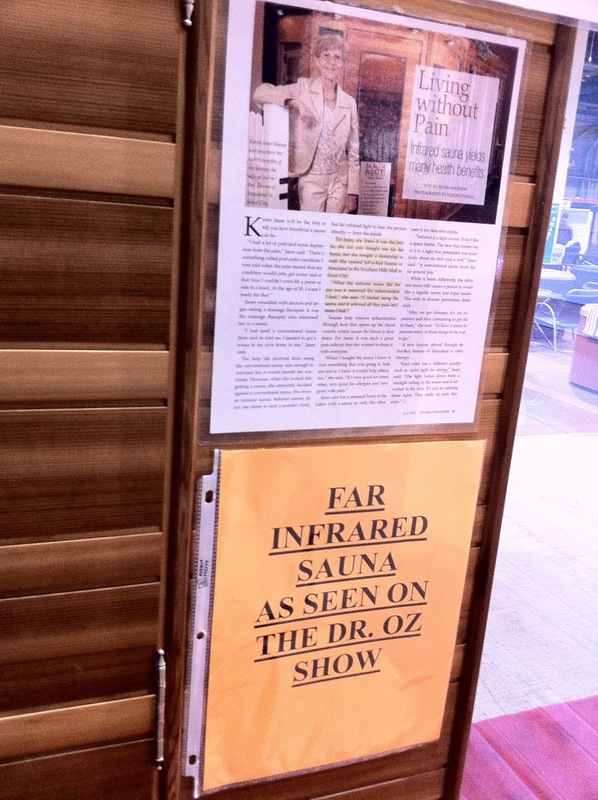 Finally, an old stand-by of the home show was present - the Health Mate Infra Red Sauna, which improves my immune system, removes those dreary toxins, and improves skin tone. The good news was that while there were an increased number of C.A.M. stands sprinkled between contractors, bathroom makeover experts, wood pellet stove peddlers, and home entertainment experts to turn your den into sight and sound extravaganza, given the healthy crowd at the show not many people seemed interested in a device to improve the lymphatic system or increase blood circulation. In fact, they were nearly all quite dead. I suppose marketing at a place where the biggest question is which is a better value natural stone vs. solid surface countertops, and not I need to lose a few pounds without changing my daily habits is not the best idea. I also suspect that the prolonged down economy is driving the more entrepreneurial minded to do whatever it takes to make a buck, which may explain the increased number of alt med stands this year. This is just a guess on my part. Also, Kylie Sturgess on her Token Skeptic site has posted a video* of her recent visit to Astro Day at Curtin University. Sturgess walks among what appeared to be at least tens and perhaps a lot more amateur astronomers showing off their telescopes and letting passersby to peer into the lens or view their laptop screen of the moon. It brought back memories of my days as an astronomy lab assistant in undergrad. (Yes, I was a history major, but I did really well in astronomy. I am a well rounded if not gifted geek.) There really is something special about viewing a heavenly body live and in person, even compared to the best IMAX experience or pictures on the HD channel of PBS. The second part of the video was inside of a large arena or hall where what appeared to be younger science teachers and/or scholars discussing various topics at a large number of kiosks and booths. The video is well worth the 11 minutes, and for anyone who has an interest in astronomy you'll likely get a kick out of it. *suggested viewing device is an AppleTV. I don't think there's anything wrong with alternative medicine as long as it works. We can hear success stories from people cured using homeopathy, so there is no reason to stop them from using what they want. Alternative medicine is no magic solution. Practicing it, however, can help you with your ailment. Let's take weight loss as an example. Alternative medicine can be in the form of teas, energy supplements, vitamins, and even yoga. The number of hospitals offering complementary and alternative medicine has increased because more Americans are now demanding massage and meditation, but as my physician always tell me, there's still risks in quitting conventional medical treatment and prescribed medications. "Alternative medicine is no magic solution. Practicing it, however, can help you with your ailment." When you say practice of alternative medicine, I think of chiropractic. Chiropractic is labeled as alternative medicine, but really, it's as effective as scientific medical practice. Maintain a balanced diet in order to get sufficient nutrients. There are supplements available as well so you can fulfill your dietary needs. I missed the show. I hope you share a link of the latest episode so I can watch it. Magic does not exists in this world. In order to recover from such illness or disease, we need to act, take medicines, do healthy living and avoid bad habits. Most of the time, alternative medicine is our last resort for some situation where conventional way of medicine could not do anything. Yeah, I always get lost with between osteopathy and chiropractic care. But as how I understand it, it's almost the same since both healthcare introduces a manipulative therapy for the body to heal itself. However, chiropractic sounds more serious since it affects the nervous system as well. When we go out so there are a lot of choices and we find our selves rush in to the pile of choices and unable to choice the best but Physiotherapy North Ryde has the best ability to make you fit and quick as never before and you will be able to do your routine work with more effectiveness as well.